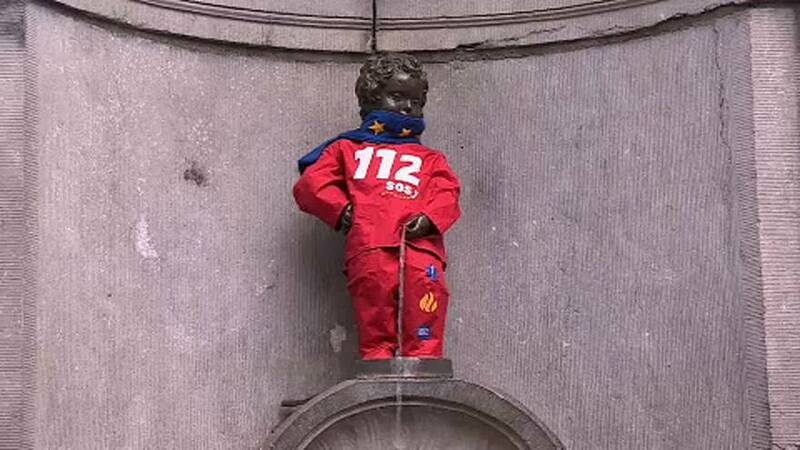 Belgium's famous Manneken Pis sculpture has been dressed up to promote the European emergency number 112. Tourists posed for photos with the statue, which normally depicts a naked young boy but was on Monday dressed in a European Emergency Number Association costume. Europeans can call 112 from landline and mobile phones to contact any emergency service. The European Commission said 140 million calls were placed to this number last year.